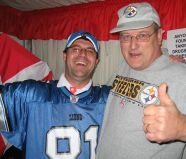 Introduction by tournament creator SIM Søren Peschardt: "During the 2007-08 NFL-season I also had the pleasure to play ICCF-games against Jason, George and Glen. 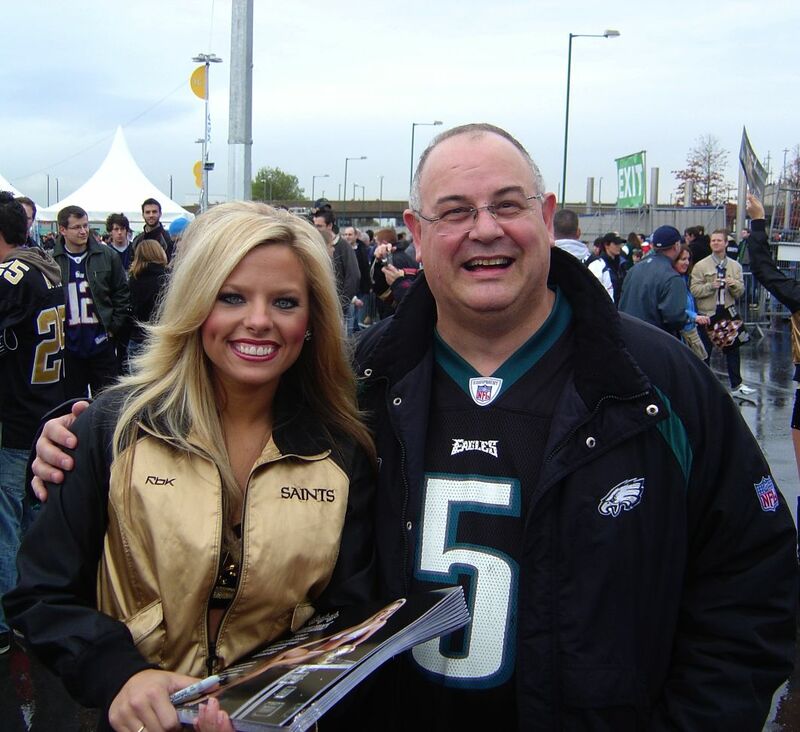 We shared many great sundays together - exchanging moves in our games while watching NFL on TV :-) ..." click here to read Søren's entire NFL Tournament Introduction. Congratulations to the winners of the chess event: GM Raymond Boger and SM Dr. Michael Millstone tied for first with 6-2 scores, with Raymond taking the SB tie-break 21 to 20.5. GM Dr. Jason Bokar and SM Gino Figlio join the winners as the other undefeated players. 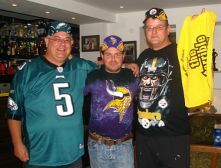 Congratulations to SIM Søren Peschardt and his Pittsburgh Steelers and SIM Gino Figlio and his New York Giants for the best regular season records of 12-4. The other teams with winning seasons were SIM Michael Millstone (Miami Dolphins, 11-5), GM Raymond Boger (Minnesota Vikings, 10-6) and Andrew Dearnley (Philadelphia Eagles, 9-6-1). Of course, special congratulations are due to SIM Søren Peschardt whose Pittsburgh Steelers won the 2009 Superbowl 27-23 over the Arizona Cardinals. "Division title and 1st round bye :-)))) / What a GREAT sunday :-))"
"Following week 10 of the NFL season I couldn't put it off any longer. My plan was to post photos to celebrate the Lions' first win of the season. 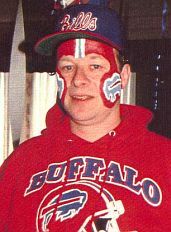 That has failed to be a useful goal, so I have now added some photos showing myself as what I picture as a typical Detroit Lions' fan." See Franklin's profile page. 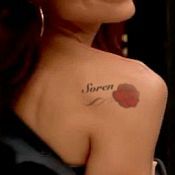 Søren Peschardt sent the following note to the participants: Try this please: http://www.tatuagemdaboa.com.br/ After the animation type in "Søren" in the first field and "your own name" in the second and then click "visualizer". 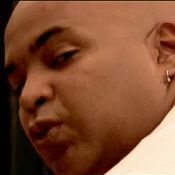 I (Franklin) tried it and saw the following (just four samples from the video petty much tell the story). "PS! Have promised Franklin to find a player for next season - who support the Bengals :-)"
Thanks, Søren. Of course the reference is to Detroit's current standing of 0-7. 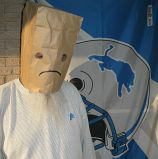 By coincidence I just received another email concerning the Detroit Lions. See Email about Detroit Lions. 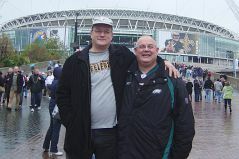 Thanks to Søren Peschardt for sending me these additional pics from his trip to Wembley stadium with Andrew Dearnley. Special thanks for the interesting captions to the photos! Be sure to click on links below the photos to see the full size pictures. in selling us their calendar. I only buy such stuff from the Steelerettes! and he was just another Dane!! stuff goes on at the 50-yard line!! 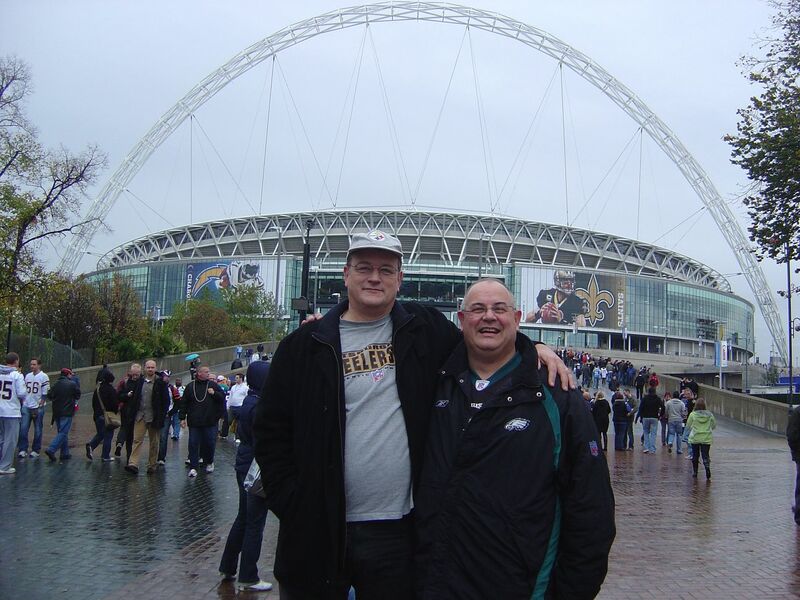 The NFL makes history by playing a regular season game at Wembley stadium in London, England on 26 October 2008 and our intrepid NFL fans Andrew Dearnley and Søren Peschardt were there! 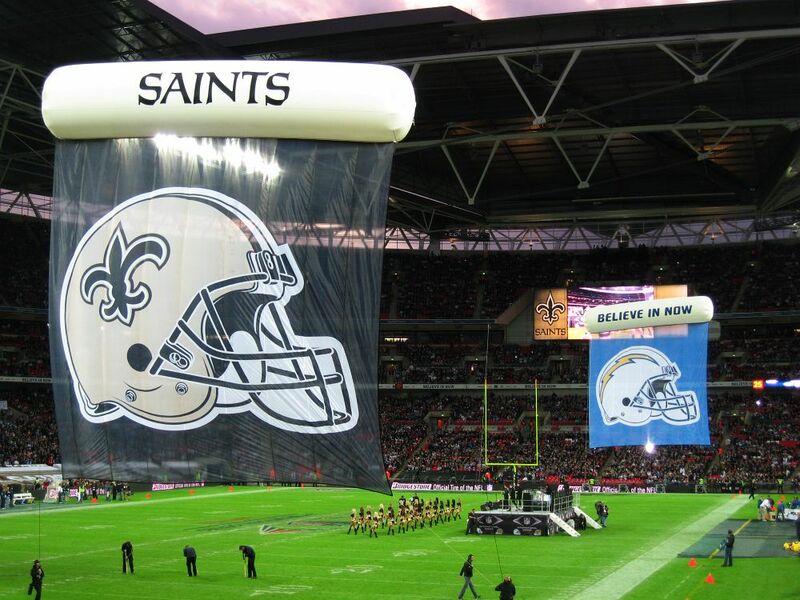 The New Orleans Saints took the win over the San Diego Chargers 37-32 in an exciting, high-scoring event. 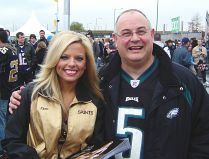 Andrew has provided the first photos documenting the festivities before the game where Andrew and Søren get up close and personal with the Saints' cheerleaders at the pre-game tailgating. More photos are promised. 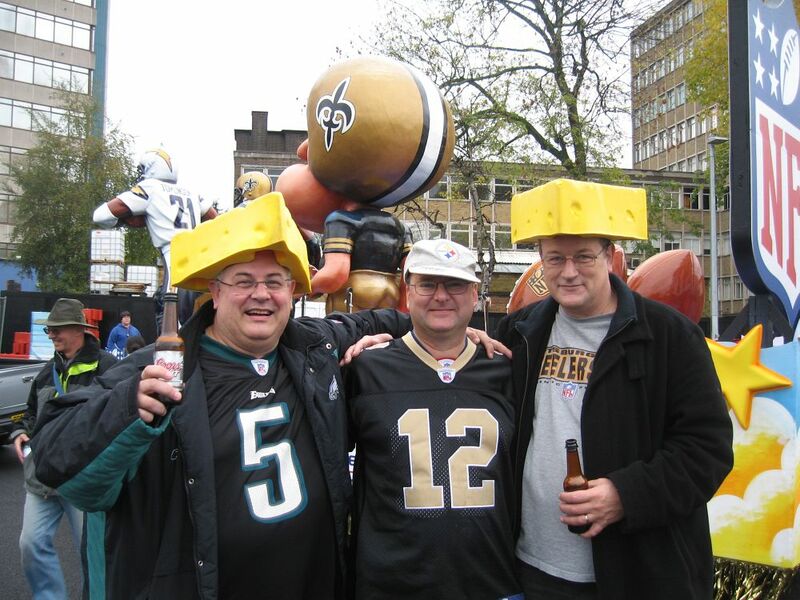 6 October 2008: Thanks to Andrew Dearnley for this photo taken after games played in week 3 of the NFL season (just after the 2008 ICCF Congress). 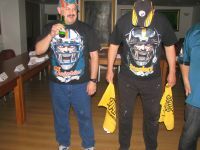 Miami scored a huge 38-13 win over the favored Patriots while Søren's Steelers lost to the Eagles 15-6. Cheer up, Søren! You can take confort in Pittsburgh's current 4-1 standing while some of us face a miserable non-win season. 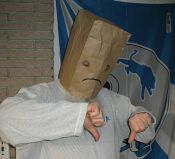 Maybe Detroit should sack not only the coaches but all the players as well, not to mention the owners. 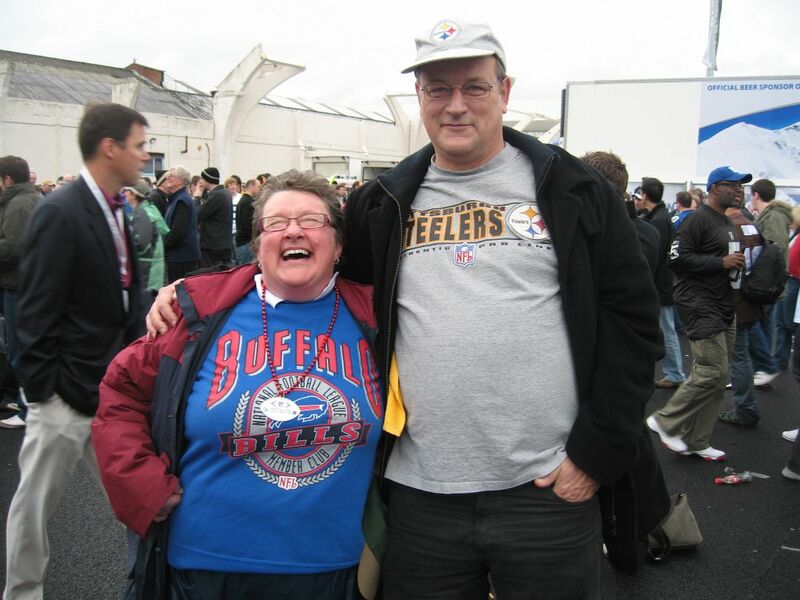 3 October 2008: Glen D. Shields joins his 4-0 Buffalo Bills to lead the NFL enthusiasts pack with the first result in this event, a resounding win! To see his quick dismantling of Franklin Campbell (who joins his 0-3 Detroit Lions in the losers' brigade) check out the game page. The ICCF Congress in Plevin, Bulgaria is underway with several of our fellow NFL enthusiasts in attendance. Check out the Day 1 Report with text and photos from Raymond Boger, Andrew Dearnley and Neil Limbert. Here are a few photos from the report (see report for full size versions and more photos. 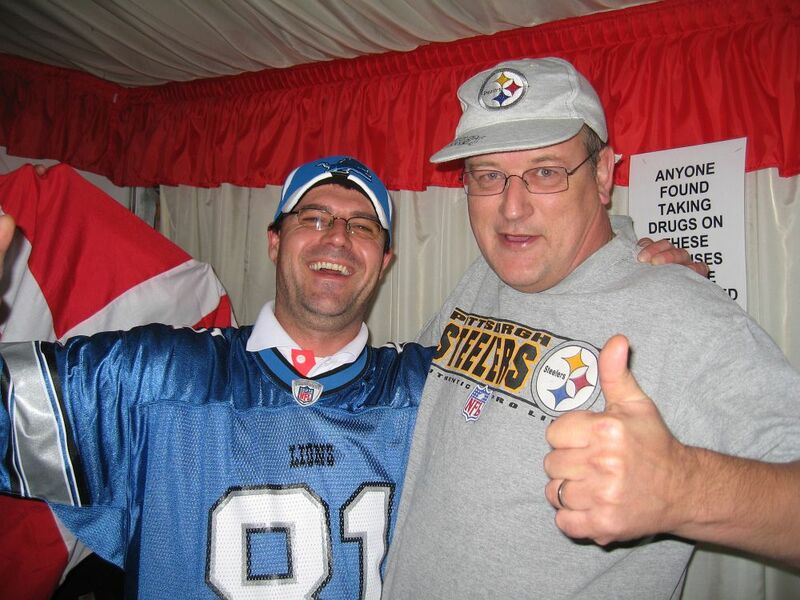 4 September 2008: Just before the opening game of the NFL regular season our friend and opponent Andrew Dearnley has provided his interesting and entertaining profile to go with his extensive set of photos. 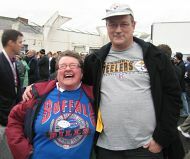 Check out the Dearnley Profile page during breaks in the Washington Redskins vs. the New York Giants game. Guess who is organizing the ICCF Congress next year! 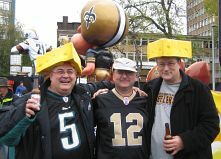 28 August 2008: The NFL pre-season is finally over and the real games that count will soon begin. The final pre-season standings have been updated above. Some of us with low expectations for the season can at least delight in good pre-season results (note the Detroit Lions at 4-0). And we can hope to have better results in our chess than our beloved teams have on the field. 13 August 2008: The football standings above have been updated with one result so far for each team. Søren (Pittsburgh) and Franklin (Detroit) are leading with 1-0 each. As the season progresses additional results will be recorded. 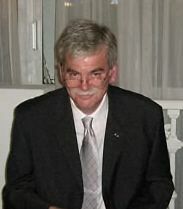 2 August 2008: A photo of GM Raymond Boger has been added. See the Boger Profile page. 1 August 2008: We have a new profile from SIM Michael Millstone. See the Millstone Profile page. NFL Tournament creator Søren Peschardt has also provided a introduction and explanation of this unique event. 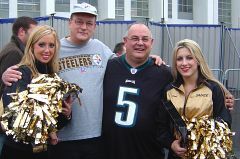 See NFL Tournament Intro page. 30 July 2008: We have a new batch of player information on the site! The Dearnley Profile page has 14 new photos (with larger size photos of all 14 available at a click). The Bokar Profile page has a completely new and updated profile plus an amusing photo. The Peschardt Profile Page has been updated with a profile and a couple dandy pictures. 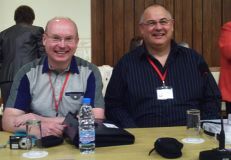 25 July 2008: The web site was updated again today with the profile and photo of Glen D. Shields. Check it all out on the Shields Profile Page. 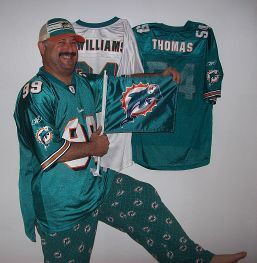 There's no doubt about his NFL preferences! 20 July 2008: More web site updates arrived today. IM George Pyrich sent a photo and his personal profile. Check it out on the Pyrich Profile Page. His photo is shown below. 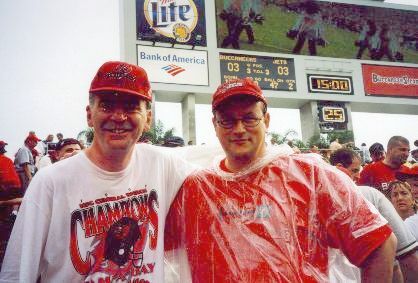 The second photo is of SIM Søren Peschardt at a football game in Florida. The Peschardt Profile Page has been updated. 19 July 2008: Personal profile material is starting to trickle in for the participants in this spectacular event. 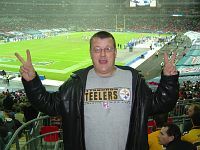 Our "Referee" SIM Ian Pheby has sent in his profile and promised a photo soon. See Pheby Profile. 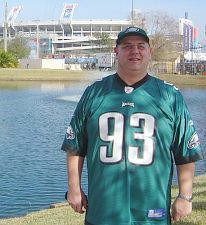 Note that Ian has not selected an NFL team but he has declared his own sporting interest, as represented by the background of his profile page. Go Liverpool! 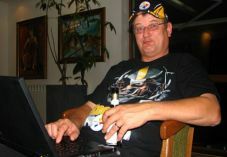 Your humble webmaster has found a suitable portrait of this event's creator SIM Søren Peschardt and placed it on his profile page, but he may choose to replace it with his own choice. SIM Michael Millstone is the first to submit his own choice of photo for his profile page, and it is a dilly! 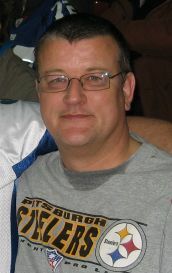 Andrew Dearnley's photo arrived second and is shown on his profile page. Click the link under some photos on the profile pages to see larger versions. The three new photos are shown below.